You are here: Home>About>Blog>Does anyone remember Kenley? Are there any memories left of this long-abandoned WW2 RAF fighter aerodrome? 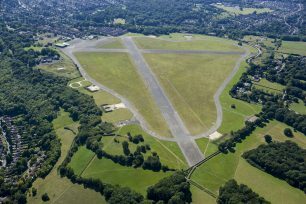 Now a haven for a gliding club, dog walkers, cyclists and joggers Kenley, England’s best preserved Battle of Britain airfield, lies on the southern border of London and the Surrey countryside. During the Battle of Britain in 1940 RAF Kenley was a key Sector station controlling Redhill and Croydon airfields a few miles to the south and west respectively. It’s a highly evocative place, with WWII concrete runways and perimeter taxiway still intact as are many E-type aircraft revetments. Built on a former golf course and common land in 1917, Kenley was then called No 7 Aircraft Acceptance Park. Manufacturers would send their aircraft, mostly Sopwith Camels and DH9A bombers, to be assembled from kits and fitted with their wartime role equipment, armaments and instrumentation before being ferried across the Channel to France. Immediately after the war, flying Handley Page Bombers converted to civilian HP42s, No 1 (Communications) Squadron conveyed officials to and from London to the peace conference taking place at Versailles. After which the aerodrome was nearly closed and would have been but for the intervention of Winston Churchill whose home Chartwell was a 20-minute drive away. Churchill believed it was essential for the defence of London. How right he was. Badly bombed on 18 August 1940 the airfield survived to house a myriad of fighter and fighter-bomber squadrons during WW2, including, at various times, RAAF, RCAF, RNZAF and USAAF squadrons. 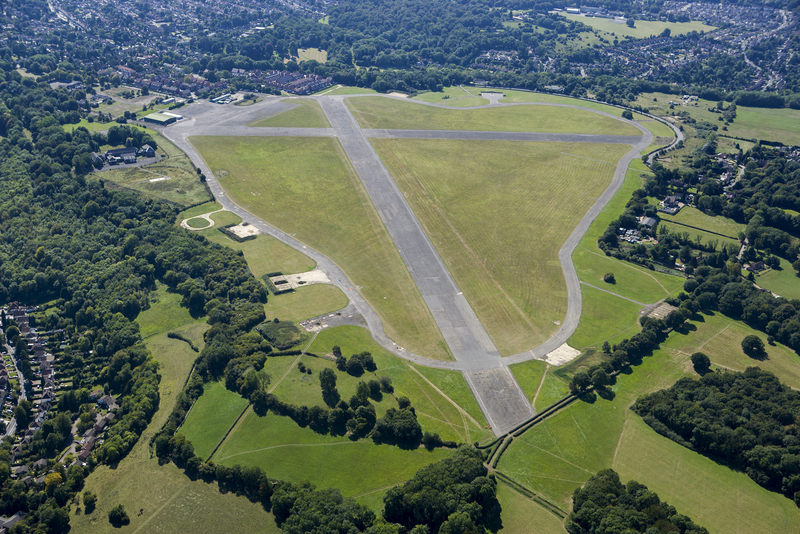 In 2016 the Kenley Airfield Friends’ Group (KAFG) announced that after three years working in partnership with the City of London, its Kenley Revival Project had secured £880,000 from the Heritage Lottery Fund. Together with money raised by KAFG and other local groups, the total project funding amounts to over £1.1m. an oral history project designed to record local people’s experiences of RAF Kenley during World War II and both pre and post war. It’s a long shot, but the aim of this short article is to see if there’s anything to do with Kenley squirreled away – letters, diaries, photos or even physical artifacts that might trace links to this historically important link with the past. Q: How will any objects received be displayed? A: At this early stage of the project there are no plans for a museum. We’re going down the digital route and will be encouraging people to post pictures of their own objects through our online archive. The archive itself is still in its development stage – eventually we hope that people will use it to share their stories and own collections such as photographs or PDF copies of letters or diary entries etc. Q: Why should people consider supporting this project? A: Broadly speaking to extend the memory of those who served during WWII. We would hope that if a family were to find a wartime artifact directly related to Kenley – and is willing to pass a photographic or PDF a copy of it to the Revival Project – it would help promote general awareness of the valiant work undertaken here during WWII. Q: What sort of information have you already received from people, and from where across the world? A: Not a lot yet. These are early days and the bid for mementos is on just underway in Australia, New Zealand, Canada and the USA. The next phase will be to contact veterans’ organisations in Belgium, the Czech Republic and Poland. Q: Do civilian aircraft still use the runway and facilities? A: The Station closed in 1974 since when there has been no powered flying. The Surrey Hills Gliding Club and No 615 Volunteer Gliding Squadron operate off the airfield, as does No 450 Air Cadet Squadron which has served local young people since 1941.